Legislation to fund the federal government for the rest of this fiscal year includes real management reforms for our federal forests, restores payments to counties and schools, and fixes the fire borrowing problem where the Forest Service robs money from various accounts during fire season to pay for forest fires. Rather than requiring the Forest Service and BLM to use funds intended for forest management and fire prevention, the federal government will now use funds specifically for firefighting -- treating forest fires much like other natural disasters. This will help end the vicious cycle of depleting resources for fire prevention to pay for fire suppression, which increases the risk of catastrophic wildfires year after year. This plan provides additional tools for forest management to prevent the catastrophic wildfires that choke our skies with smoke and threaten our communities. This builds off of the reforms included in the Healthy Forests Restoration Act, which I helped author several years ago to reduce the fuel loads that build up in our forests. As chairman of the Energy and Commerce Committee, I found a way to pay for two years of funding for the Secure Rural Schools program which provides money for essential local services such as schools, roads, and law enforcement in Oregon’s rural forested communities. While these management improvements will help restore healthier forests, we have much more work to do to improve forest health, and support Oregon’s rural communities. Click here to learn more about the key priorities for Oregon secured in this funding measure. 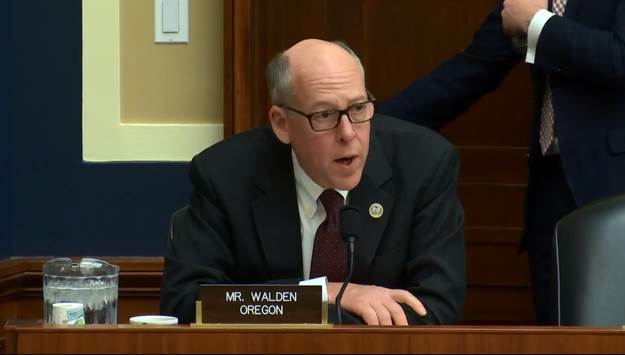 At the meeting Saturday with a group of locals who formed in Medford last fall concerned about repeats of the thick wildfire smoke that choked Southern Oregon last summer, Walden said he’s had some “very productive” conversations with Democratic Sen. Ron Wyden, hoping to find common ground for draft legislation that would reform federal forest management. As the opioid epidemic wreaks havoc in communities across the country, Oregon has not been immune to this nationwide crisis. More Oregonians die from drug overdoses than from car accidents. Opioid abuse continues to spiral out of control with no end in sight, unless we act. Community leaders from eastern Oregon discuss the challenges we face in rural Oregon to overcome addiction from opioids. Combating the opioid crisis in Oregon was the topic of conversation during my meeting with Good Shepherd Hospital in Hermiston recently. I gathered a group of health care professionals on the front lines of this fight in eastern Oregon, to learn more about what is working -- and what is not working -- to help stem the tide of this scourge. 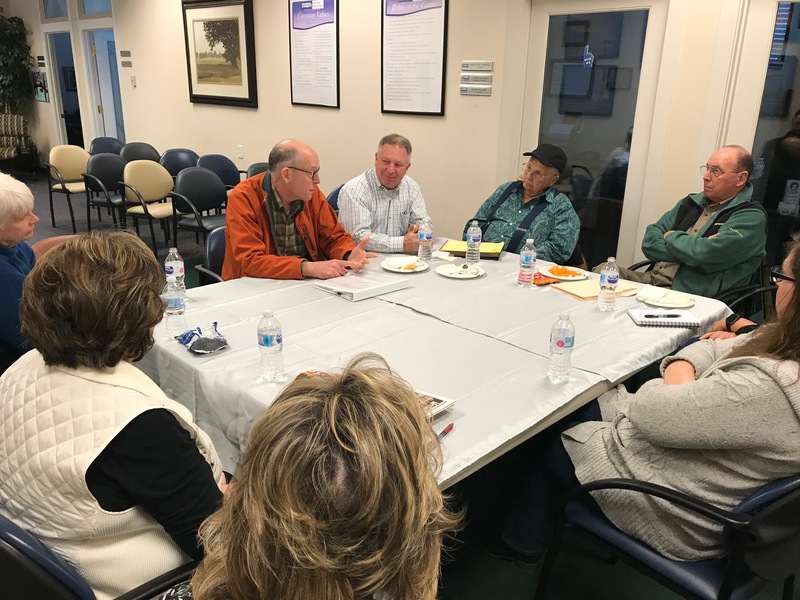 To read more about my meeting with Good Shepherd Hospital from the East Oregonian, please click here. It is my top priority as chairman of the Energy and Commerce Committee to take these conversations back to the nation’s capital as we work to advance concrete solutions to put a stop to this deadly epidemic. 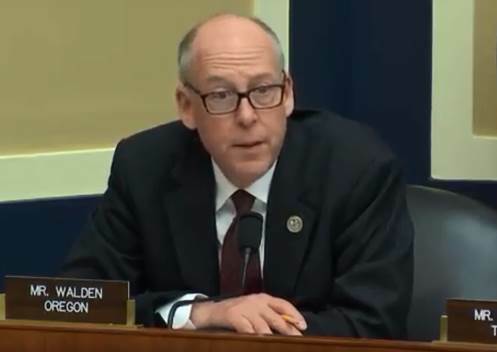 Last week, our Committee held three days of hearings on the issues surrounding this nationwide problem and legislative ideas to help our communities overcome this deadly scourge. Recently, I wrote in the La Grande Observer about our plan of attack at the Energy and Commerce Committee to address the opioid crisis.
. Beginning this week, the Energy and Commerce Committee will kick off hearings to examine legislation aimed at combating the opioid crisis. We will examine proposals to give law enforcement the tools they need to take illicit synthetic drugs, like fentanyl, off our streets. Click here to read my full op-ed in the La Grande Observer. At the first of three sets of hearings, the Energy and Commerce Committee focused on giving law enforcement the tools they need to keep illicit drugs, like fentanyl, off our streets. Fentanyl is so deadly that a piece the size of a grain of salt can kill you, and led to a reported 49 deaths in Oregon over the course of two years. The unprecedented plague of opioid addiction and substance use disorder in our country requires an unprecedented response. This epidemic knows no geographic, political, or socio-economic bounds. 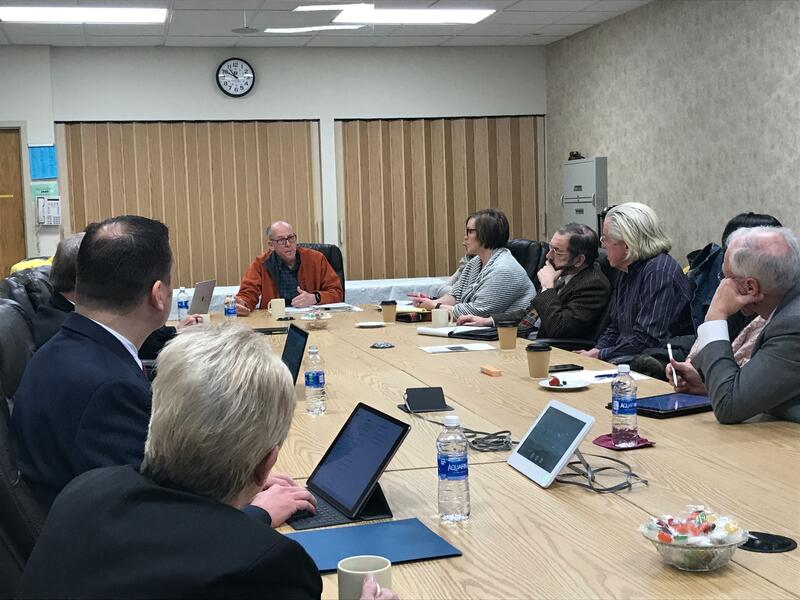 I’ve held roundtables in my district in Oregon, in places like Hermiston, Grants Pass, and Medford -- when you talk to providers, addicts, and their families, you can feel the sting of this crisis in the community. That’s why I held a two-day hearing to review 25 bipartisan prevention and public health solutions to help combat the opioid crisis. This hearing marked the second of three legislative hearings to further examine how we can attack this crisis from all angles. To learn more about our hearing and the legislation examined, please click here. Tax reform is continuing to deliver for everyday people in Oregon and across the country. Some 4 million American workers are receiving about $3 billion in bonuses because of the Tax Cuts and Jobs Act, which was signed into law in December. 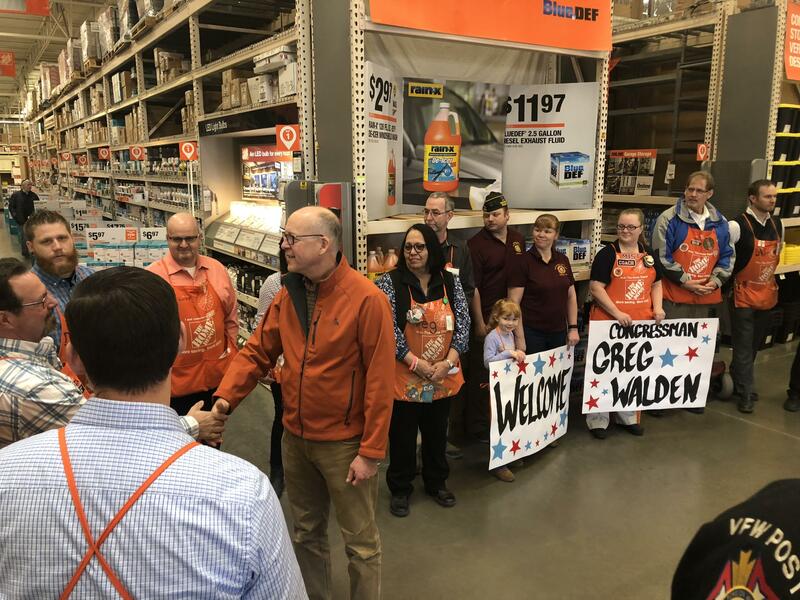 In Redmond, I met with workers at Home Depot, which is rewarding its hourly employees with bonuses of up to $1,000 -- that’s before you add in the tax cuts that could save a family of four earning $75,000 a year upwards of $1,900. I don’t think $2,900 is “crumbs” to a working family in our part of Oregon. The Walmart team in Hermiston invited me to tour their distribution center and discuss the positive impacts their employees are seeing because of tax reform. 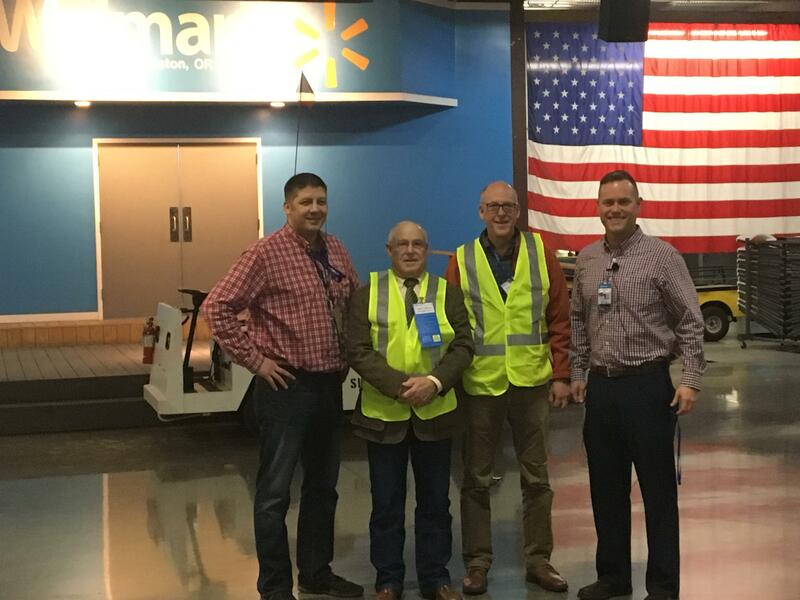 I also linked up with the Walmart team in Hermiston to tour their distribution center, and discuss the positive impacts their employees are seeing because of the Tax Cuts and Jobs Act. Because of tax reform and other incentive-based bonuses, the Hermiston distribution center has awarded over $700,000 in bonuses to their employees in the most recent pay period. Along with increased maternity and paternal leave benefits Walmart has announced as a result of the new tax law, that is excellent news for these hardworking people. While in town in Hermiston, I stopped by Ordnance Brewing, which is another local Oregon brewing business set to benefit from the Tax Cuts and Jobs Act. We slashed the federal excise tax on craft brewers and wine makers in our tax reform plan, allowing them to keep more of what they earn to reinvest in their business and our local communities. To read more about my meeting with Ordnance Brewing from the Hermiston Herald, please click here. In Bend, it was an honor to present Dave Klym, a Crooked River Ranch resident and Vietnam veteran, with three distinguished military medals for his service to our country. Dave reached out to my office seeking assistance in obtaining the medals he earned during multiple tours in Vietnam as a helicopter crewman. I was proud to present Dave with all three: the Bronze Star Medal; the Air Service Medal and Aviation Badge with the signifier “22”, denoting 52 flight hours logged; and the Army Commendation medal. Thank you, Dave, for your service to our country and for the great privilege of presenting you with these much-deserved honors. To read more about the medal presentation ceremony from KBND Radio in Bend, please click here. If you or a loved one needs help with the VA, or any other federal agency, please do not hesitate to reach out to my office at 800-533-3303. I have a full team on staff ready to assist you, and we will do everything we can to get you results. Please feel free to sign up for my E-Newsletter, like me on Facebook, and follow me on Twitter and Instagram if you have not already done so. If you would like to contact me with a follow-up question or comment, you can do so by clicking here. Click here if you would like to Unsubscribe.